In today’s episode we speak with Dmitry Grishin about Grishin Robotics, his global investment company dedicated to helping robotics startups distribute already working products to the mass market. 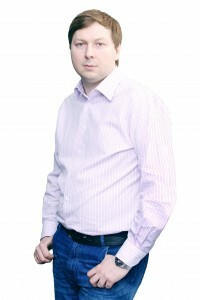 Dmitry Grishin is co-founder and chairman of the Mail.Ru Group, the largest Internet company in the Russian-speaking world and one of the biggest in Europe. He joined the company in 2001 after graduating from the Faculty of Robotics and Complex Automation at Moscow State Technical University. This background led him to believe that personal robotics, with a market potential estimated to be over $18 billion in 2015 (ABI Research), is ready to become mainstream and poised for massive growth, similar to the internet industry in the past decade. To help drive mass-market penetration of new robotics products, Grishin founded Grishin Robotics in 2012 with an initial personal investment of $25 million. His firm, located in New York, funds start-up companies that are ready to ramp-up production of already proven robotic prototypes. Grishin recently announced their first investment in Double Robotics, a company that makes telepresence robots. Grishin tells us about the changes that are need in the robotics culture to start developing successful startups, including building simple robots that are need-driven rather than technology-driven and emphasize user experience.